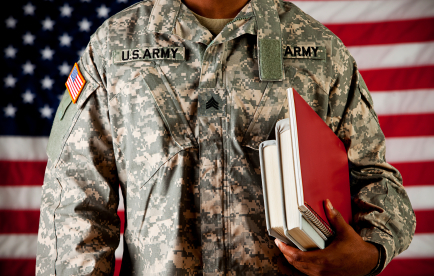 Are you a veteran that wants to use your GI Bill towards an education with a promising and rewarding career. (VAS) Veteran Adjusting School is a trade school for veterans with 95% job placement and is VA approved for veteran tuition assistance under the 911 GI Bill ®. Students that graduate from VAS average between $70k – $100k in 6 – 9 months as catastrophic insurance adjusters. CAT adjusters are deployed by insurance agencies and independent firms to catastrophic events (hurricane, flood, wild-fire, etc.) to estimate how much compensation the insurance customer is entitled to under their policy. They will spend weeks to months in the affected region performing inspections. Vacation Time: CAT adjusters typically work 6 – 9 months during the storm season. This leaves 3 – 6 months of vacation time to enjoy your hard-earned income. Self Employed: Catastrophe adjusters are contracted out by insurance agencies and independent firms. As independent contractors, they make their own hours and chose their own projects. In order to be successful in the catastrophic insurance adjusting field, it is essential to be dedicated, hard-working, organized, and self-motivated. Vets display the characteristics and resilience it takes to become top quality adjusters. That is why VAS became VA approved for veteran tuition assistance to help them become CAT adjusters. Veteran Adjusting School has produced such outstanding adjusters from their comprehensive training course that their graduates are highly sought after in the insurance adjusting industry. This is how they were able to build partnerships with nearly 20 insurance agencies and independent firms to hire their graduates right out of school. That is also why VAS has over 95% job placement for their graduates.